I know Halloween has come and gone…but my little girl does not seem to understand this! 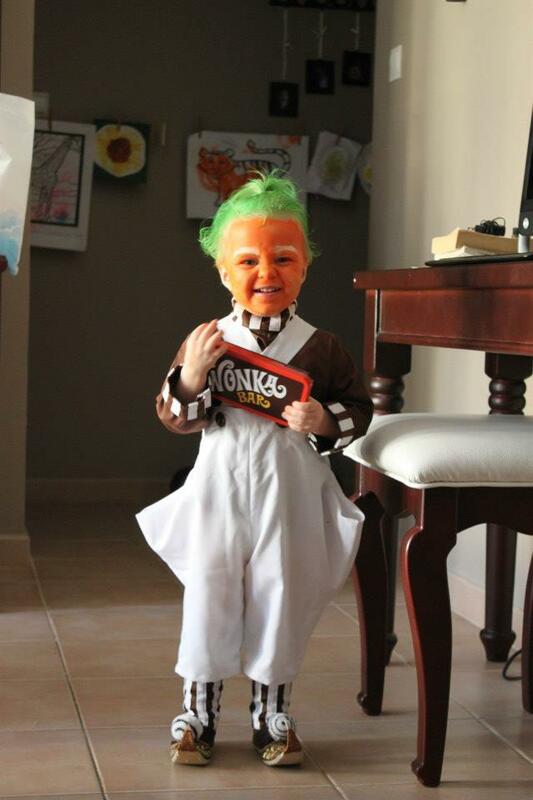 Every day she wants to dress up as an “Oompa Loompa”! Each morning I have to go and fish out her pants-trousers whatever you want to call them (I can’t find the top). Then I have to put on “Willy Wonka & The Chocolate Factory”, play all of the singalong songs, sitting with her and singing! The original Willy Wonka with Gene Wilder is my all time favourite movie EVER! And now it is hers! But I am not sure how much more I can take of this! Goodbye BUSY October & HELLO November!